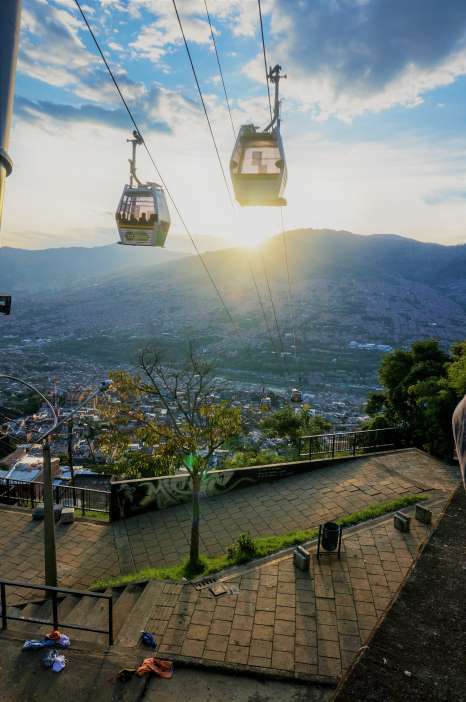 Few destinations around the world are as ‘hot’ as Colombia, and we at Waterstone are honored to be working with Metropolitan Touring Colombia, a Destination Management Company that has quickly established itself as the most innovative and well connected in the country. There is so much to experience in Colombia, from the marvelous cities of Bogota, Medellin and Cartagena, brimming with art and culture, to beautiful Caribbean beaches on which to bask, and Metropolitan Touring Colombia is the ticket to everything Colombia has to offer. 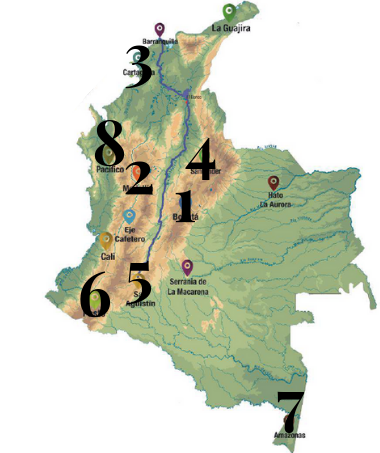 Below, the enthusiastic team at Metropolitan Touring has provided just a small taste of Colombian experiences by listing some of the most essential places to visit. We hope this inspires you to suggest Colombia to your clients; when they're ready to plan their trip, make sure to contact Metropolitan Touring Colombia for completely customized itineraries and incredible service. Of course, please contact me if you have any questions. 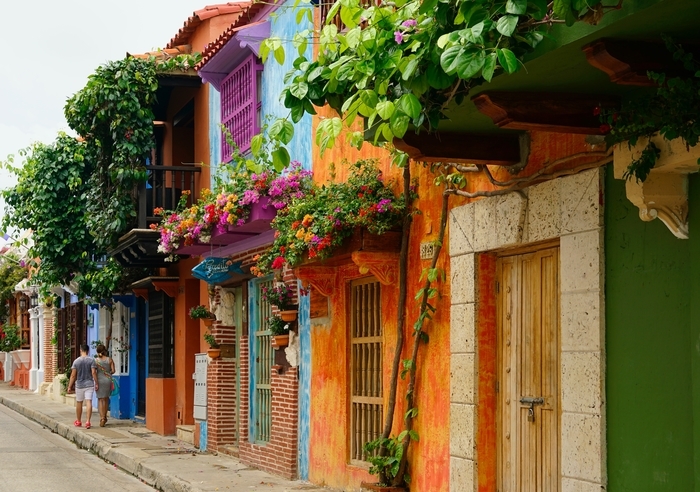 Sea breezes and golden light cast by sunsets on to vibrantly colored 400-year-old houses - this is what enchants visitors to Cartagena. A destination on the rise, the walled city was founded in 1533 and has since been incredibly preserved; its Old Town is a UNESCO World Heritage site. The city's culture can be experienced through culinary treats, traditional dance and historical monuments. While there are beaches in Cartagena, a trip to the nearby Rosario Islands is recommended for the best resort-like beach experience. Santander is the province to visit for those seeking adventure. 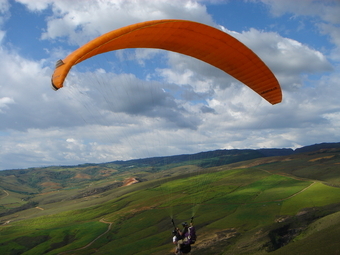 Home to stunning landscapes, rivers, caves and canyons - namely Chicamocha Canyon - activities include: paragliding (pictured left), caving, rafting, swimming, canyoning, hiking, biking, and bungee jumping. For a non-adrenaline spiking experience in Santander, visit the town of Barichara, known for its cobbled streets and colonial architecture. This region is most well-known for the San Agustín Archelogical Park, a UNESCO World Heritage site. The park, home to the largest group of religious monuments and megalithic sculptures in South America, provides a glimpse into ancient civilizations through remains, stone figures and tombs. One of Colombia's lesser known destinations, Pasto often surprises visitors with its rich culture and the stunning Andean nature that surrounds it. 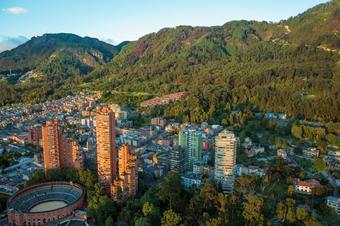 While the historic center of Pasto is home to old colonial architecture, churches and museums, it also provides access to nearby lagoons, volcanoes, moors and valleys. On a day trip from Pasto, it is recommended that guests visit one of the world's most uniquely situated churches, Las Lajas Sanctuary (pictured right). The tropical rainforests and lush jungles of the Colombian Amazon feels like an entirely new world. Here, at the country's southern tip, visitors can marvel at an incredible array of native species including over 674 species of birds alone. This region of western Colombia, with its unique black sand beaches, is especially ideal for whale watching. During their annual migration from July to November, humpback whales can be seen right off the coast.